If you're planning a trip to Puerto Rico and trying to decide whether to visit Vieques or Culebra, you have no easy task ahead of you. Both islands have dazzling beaches, a rustic island vibe, and lush tropical vegetation. Both are located off Puerto Rico's eastern coast, a short distance from each other, which makes it convenient to visit both if you have the time. But if you must choose just one, hopefully, this will help you decide whether Vieques or Culebra is right for you. Actually, make that the biobay. The Vieques Biobay is the most bioluminescent bay on Earth, and visiting its glowing green waters is an unparalleled experience for visitors not just to Vieques, but anywhere in the Caribbean. As one of just a handful of biobays in the world and one of three in Puerto Rico, it's a natural wonder that you shouldn't miss. People love to go to Culebra because they can really get away from it all. And it takes only one look at the island's only town, Dewey, to know that you've taken a trip back to the way the Caribbean used to be. Dewey is the quintessential sleepy tropical town, with its lone gas station, squat buildings, and a cluster of basic hotels offering a relaxed, idle haven for visitors to unwind and explore at their leisure. Vieques, the larger and more populated island, offers twice the towns: Isabel II and Esperanza. This island also has a better infrastructure than Culebra. Here you'll find boutique accommodations, spas, cycling, and live music in the evenings. The W Vieques is currently closed for repair in the wake of 2017's Hurricane Maria. Culebra's hotels are, by and large, humble, cozy dwellings mostly catering to budget travelers. Of course, the island does have a few upscale options, such as the boutique Club Seabourne. But for sheer luxury, there's nothing to compare with the W Retreat in Vieques. The stylish resort maximizes its stunning surroundings with an experience designed to pamper its guests. Culebra doesn't have (or want, if you ask most Culebrenses) a big brand-name resort. One thing Culebra does not offer as much of a cultural experience (except for its small but admirable museum). On Vieques, however, you can visit the small mid-19th century Fort Count Mirasol in Isabel II. Perched on a hill, the fort was the last ever built by the Spanish empire, and today it serves as a small museum. It's the historic jewel of Vieques. On Culebra Island, rolling hills and open green spaces are just that. On Vieques, it's not always the case. A verdant, pristine stretch of the island that seems to be a completely natural landscape is actually littered with abandoned bunkers. These were once munitions storage facilities built by the U.S. Navy during its long occupation of the island. Not to be outdone, Culebra has its own lasting monument to the naval occupation: two rusted, brightly painted tanks can be found in the island's most spectacular natural setting: Flamenco Beach. Culebra and Vieques both have their share of lovely secluded beaches. In Vieques, one of these is a pristine swathe of golden sand streaked with volcanic black sand. Located near Esperanza, this practically hidden beach is accessible only by trekking through a wide dirt path that leads away from the main road. It's worth the journey. Flamenco Beach is by itself a worthy reason to visit Culebra. But it's especially appealing for those who love life in the outdoors. This is by far the best camping facility in Puerto Rico, segmented by type of campers and close to every facility you could ask for. And let's not forget the location—right next to one of the most beautiful beaches in the Caribbean, if not the world. 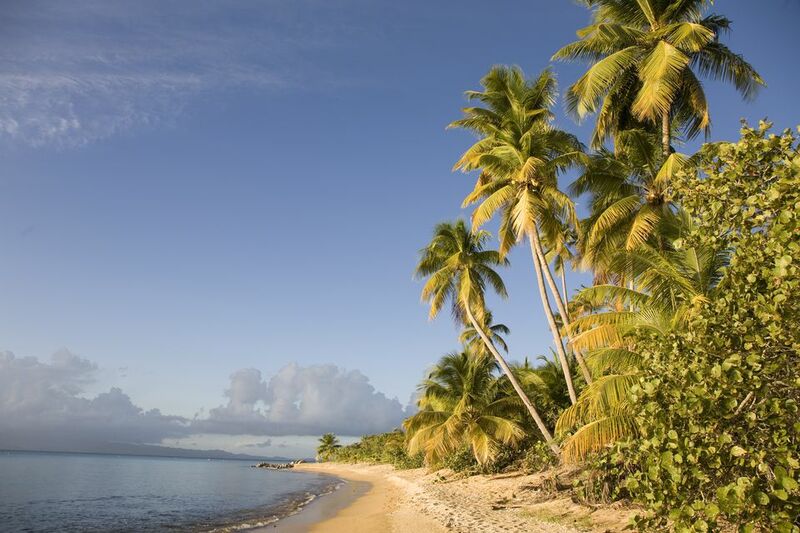 Vieques has plenty of smaller islets and cays that are accessible by kayakers, boaters, swimmers, and divers. But it has nothing like Culebrita, a pristine and tiny jewel in the Caribbean Sea. Its beautiful beaches, lone man-made structure (a tiny, now-defunct lighthouse), and remote location make it a much-loved addition to the activities and destinations of Culebra.